All Cuban newspapers are controlled by the state and usually address similar issues and events. Amongst the most important Cuban newspapers is Granma. With a weekly section titled Reflexiones de Fidel ("Reflections of Fidel") or headings such as África siempre estará agradecida a Cuba ("Africa will always be grateful to Cuba"), you´ll soon understand what Cuban censorship really means. Other newspapers are Juventud Rebelde and Trabajadores, each of which take a slightly different approach (see below) to the news. For those who haven´t yet had the chance to learn Spanish, there is always the possibility of reading the Havana Times online, a newspaper completely in English, or the weekly edition of Granma in English. Foreigners generally have better access to the Internet than Cuban citizens. Besides three national newspapers, the country knows a range of regional newspapers such as the Tribuna de la Habana as well as a bi-weekly on culture and art: Bohemia. Granma Founded in 1965 and with a circulation of about 700,000 copies, this is Cuba´s most important (national) newspaper as well as the official news organ of the Cuban Communist Party. 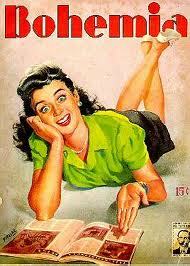 Juventud Rebelde Second largest national newspaper with a focus on youth and youth culture. Trabajadores More political than the previous newspapers, this national newspaper is owned by Cuba´s national trade union, which in turn is part of Cuban government structure. Regional Newspapers Every region has its own newspaper, which have as a common denominator the fact that they are all state owned. Bohemia Bi-weekly magazine on culture and art. English Language Press Granma publishes an English version online every week. Also, there is the Habana Times specifically targeting those who still need to learn Spanish. Most newspapers in Cuba are available online. 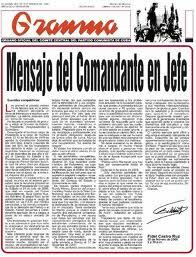 Although the Cuban press is state controlled, which makes it to Western eyes highly inadequate, there are several reasons why it might be of interest to occasionally browse through an edition of Granma or Juventud Rebelde. It allows you to make a comparison between the press that you´re used to read, to the press in a Communist dictatorship. Cuban press is free of publicity, for example, and ideology is valued much more than sensationalism and readership. Also, as long as it doesn´t concern politics and news, some newspapers contain very interesting sections on culture and art. Try it, and form your own opinion!